Mystery of the 7 Feasts of Israel Pkg includes a total of 11 DVDs. An incredible illustrated teaching on the Feasts of Israel. 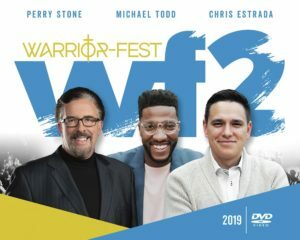 Ephesians in Depth – The Warriors Strategy Offer- a 7 DVD LIVE teaching by Perry on the book of Ephesians. 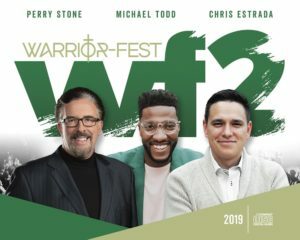 Perry’s newest Manna-Fest offer includes his new book, ‘This Season of Angels’ along with a special 2-CD album, ‘Defeating Satan’s Toughest Attacks’ that deals directly with depression, oppression and suicidal thoughts. This is a powerful powerful resource for everyone. This newest prophetic DVD teaching unlocks Biblical prophetic parables and symbols from the Word of God revealing Christ’s return. Finally, an easy to understand study of the book of Revelation Manna-Fest offer! 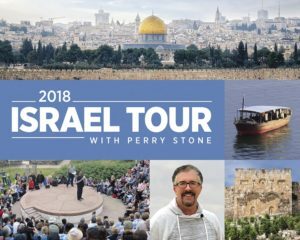 Get the latest prophetic word from the ministry as shared by Rabbi Landry, Joel Richardson, Bill Cloud, Mark Biltz and Perry Stone! The 2018 Prophetic Summit messages are now on audio CD! Get the latest prophetic word from the ministry as shared by Rabbi Landry, Joel Richardson, Bill Cloud, Mark Biltz and Perry Stone! An expose on how believers open and can close the door to demonic spirits! It’s time for believers to take authority through Christ!